1. Select your canvas project size. 2. 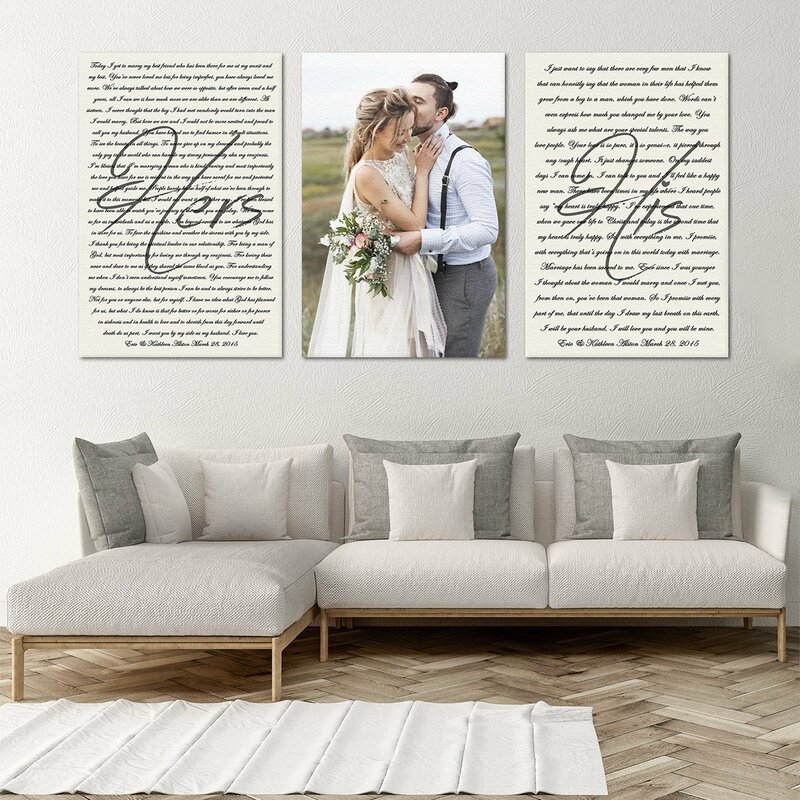 Select your canvas frame thickness(we offer 0.75″ and 1.5″ Gallery Wrap Canvas Print, please check product photos for samples images). 3. Upload your personal photo. – Select your font style number that you would like to use for your custom project(please check the product images for font selection chart). 5. Within 4 business days, we will design your custom project preview and email it to you. 6. A final Approval is needed before creation and shipping process. the address provided during checkout. We do offer RUSH PROCESSING for the design process for an extra charge, Please contact us for a RUSH PROCESSING options. • Canvas has a 0.75″ or 1.5″ thickness wood frame, upon your selection. • Pigment-based inks for exception fade resistance. • 4 business day for design preview. Total turnaround time 8-12 business days once an order is placed and info received.